With my third trimester officially starting you can bet that nesting and preparing for baby is in full swing. Although as soon as I find out i'm pregnant I like to plan. With baby #3 being our first little girl there are some new things that I wanted to buy that were a little more girly and not her older brothers hand me downs. 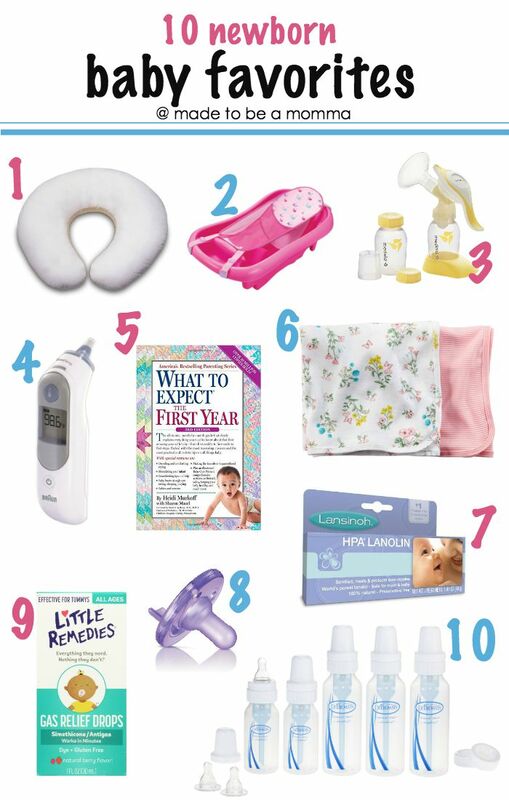 I thought I would put together a small list of my Top 10 Newborn Baby Favorites. This list doesn't include things such as baby swings, pack n' plays, cribs and the big ticket items. This list is more or less the smaller things that I personally couldn't have done without for my first two babies and I know will be very much needed with baby Addy on the way. You may find that you don't even need some of these items and that's okay too. 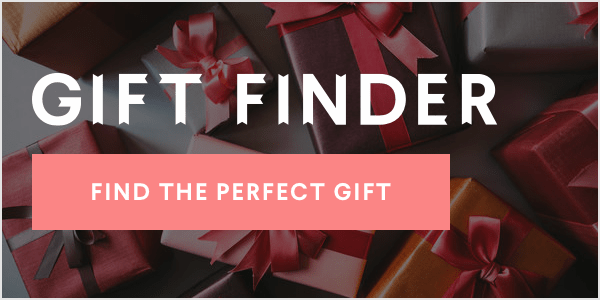 "This post contains some affiliate links for your convenience. Click here to read my full disclosure policy." Boppy Pillow: most of us Mom's are all familiar with at least a version of the Boppy pillow and if you have ever owned one you know that it's great for more than just breastfeeding. Bath Tub: this made infant bath time a lot easier! Newborns hate getting baths and my do they wiggle. I loved being able to use a bath tub that helped prop them up while I washed them quickly. The Cons: you do need to store it away when it's not being used so if you are limited in space it's not the easiest thing to hide, but I found under the crib and behind the crib skirt worked great! Manual Breast Pump: this was my breastfeeding life saver. To make a long story short, breastfeeding did not go smoothly for me and I breastfeed as long as I could and having a manual breast pump definitely made things easier on the days that were just too painful to have the baby at the breast. I would suggest getting an electric breast pump if you plan on pumping more than just a few times a day they are faster and a little bit more effective for frequent pumping. Thermometer: you always need to keep an eye on the health of your baby especially during the winter months and after immunizations ( if you choose to get them) and my Doctor personally recommended an ear thermometer. I love how quickly this thermometer gathers a temperature. Who likes holding something under their arm or under their tongue for 3-4 minutes anyway? What to Expect the First Year Book: This book is written by the same author as the ever popular pregnancy book What to Expect When You are Expecting, which I HIGHLY recommend, and is full of information to get you through baby's first year. Sometimes we have questions that need answers but they may not necessarily warrant a Doctors call this book is filled with professional information. I used this book quite often and even though I already had two baby's there is so much you forget that I'm sure I will refer to it while Addy is growing as well. Carter's Swaddle Blankets: I LOVE LOVE LOVE these blankets. I received these swaddle blankets at my first son's baby shower and they by far beat out some of the other swaddle blankets out there and really are budget friendly. These blankets are soft and super stretchy which allows you to wrap that baby up nice and tightly. I always had trouble with other swaddle blankets being short and they would wiggle right out of them. These are definitely one thing I will get for all my mommy friends that have babies in the future. Lanolin Cream: As I mentioned above, breastfeeding was not the easiest thing for me but this cream offered great relief and it's safe to use after every feeding and is actually recommended to prevent dryness, cracks and bleeding. Trust me when I say you don't want to experience that. I was also going to add nursing pads to my list which are definitely a must have BUT I haven't found one that I really love yet. Any suggestions you have would be great! Pacifiers: Now I know not all mom's want or need to use pacifiers and that's totally up to you but both of my boys loved their binki's ( as we would call them ) and they always loved the ones that were just like the hospitals which is why I love these! Gas Relief Drops: my first son had a bad 3-4 month stage of colic and one thing that helped him deal with his tummy pains were gas relief drops. In fact when our second son was coming we purchased these before we even knew if he would need them and yep, we already have some for baby Addy. Whether you baby has colic or not, every baby has tummy troubles and this helps ease the pain. Dr. Brown Bottles: along with the gas relief drops these bottles helped my oldest son with his tummy issues too. They effectively helped him swallow less air and I used these bottles again with my second and will use them with my third when I discontinue breastfeeding. I know some women like to go all out for their little babies and don't get me wrong I like to be prepared too but I bought swings for my kids and guess what...they hated them. I have a pack n' play, I think we used it once. However, I know some mom's swear by those items and work great for them. Every Mom is different and every baby is most definitely different. What works for one baby may not work for another baby, so start small! Don't feel like you need to buy everything before they are born. Maybe borrow a friends swing for a day or two and see if your baby likes it. If they do....great! Go buy one! If they don't then you can relax knowing you didn't spend a chunk of change on something you don't really need. What about you, do you have some newborn favorites that I didn't include in my list? For more content from the Lifestyle Collective, click here.